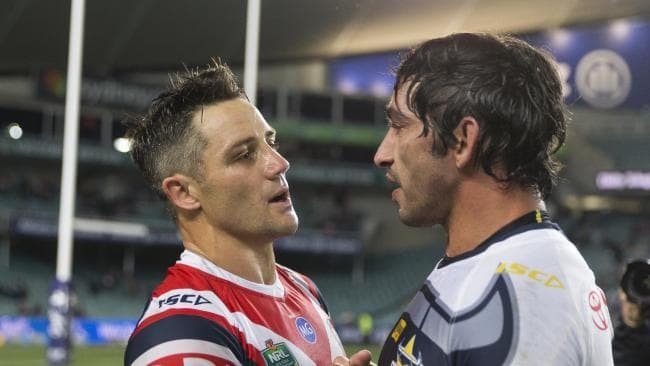 COOPER Cronk was brought to Sydney to win the Roosters the competition - and he may just deliver. Set to go head-to-head with Adam Reynolds on Saturday night in an intriguing clash of the halves, Cooper is just two wins away from delivering the Roosters a premiership in his first year with the club. Wouldn't that be some achievement? 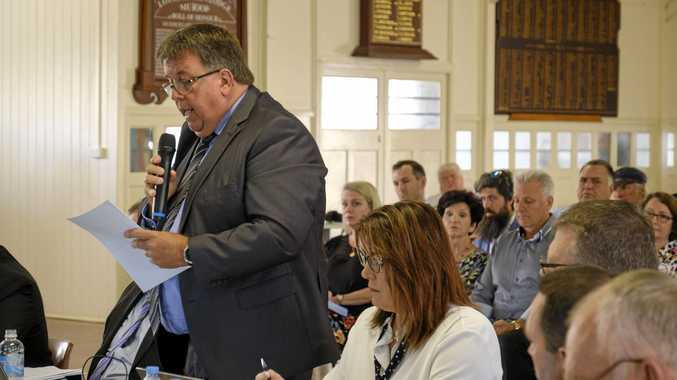 Cooper has been under immense pressure this year. I can't even comprehend the level of expectation he has been carrying. Again he was recruited to the Roosters to win them a premiership. Signed to close out big games and win big matches. Moved to Sydney with a job to do better than former club favourite Mitchell Pearce. But Cooper is on the cusp of delivering. He showed everyone what he could do when the Roosters toppled the Sharks to win a spot in the grand final qualifier. That win had Cronk's fingerprints all over it. Cooper delivered in the semi-final and I expect he will do it again on Saturday night. While I reckon I would struggle with the pressure of making a move like he did - a one club man leaving Melbourne to join the Roosters - it is like water off a ducks back for Cooper. I remember how much pressure I thought was on me when I left the Bulldogs in 2004 to join the Cowboys. I thought I owed them a premiership and I struggled with the pressure at times. But not Cooper - he has ice in his veins. Nothing bothers Cooper and I don't think he feels the pressure at all. He has experience, poise and skill. He is a player that can get a team, firstly to the front, and then close it out. I think he will get the job done on Saturday night in what will be another down to the wire final's match against the Rabbitohs. But it will be no easy feat for Cooper to lead the Roosters to a win, especially following the suspension of Latrell Mitchell. Mitchell is a big loss for the Roosters and without him Sydney are vulnerable. Mitchell has been the Roosters' go to man in big games this year. He is the type of player that will put on a big play out of the blue. You can just pass him the ball and he will create. He will make something happen, whether it be with his skill, speed or power. The Roosters will miss him on Saturday night. The Rabbitohs will be looking for another big game from Adam Reynolds. The Souths No.7 got the Rabbitohs home last week by kicking three clutch field goals. He is beginning to own the big moments and that is what you need from your playmaker in these games. I think he wants the ball in his hands now when the match is on the line and that is a good thing for South Sydney. He proved himself as a match winner last week and he will need to do it again on Saturday night for the Rabbitohs to qualify for the grand final. Reynolds is also taking the ball to the line now in a move that is creating more opportunities for his edges. Over the last couple of years he has been sitting back and shifting the ball early. He hasn't been going to the line and committing defenders. Opposition teams can't slide off and make defensive decision when Reynolds digs deep and that has been a big improvement in his game. So this one will be close - but I am tipping the Roosters. More so I am tipping Cooper Cronk. 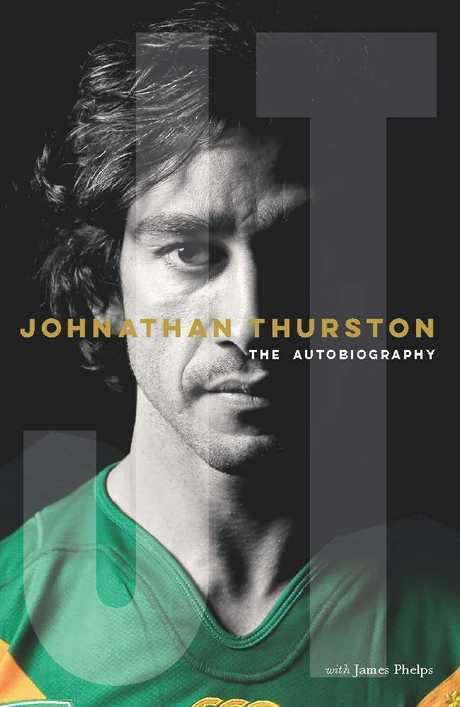 Johnathan Thurston’s autobiography written by James Phelps.